Ladies and gentlemen, your new speaker. BREAKING: Rep. Paul Ryan wins enough votes to be next House Speaker, roll call continues. House Speaker John Boehner was ready to bequeath his duties to Rep. Paul Ryan Thursday morning. Before handing over the gavel to his friend from Wisconsin, however, Boehner said farewell to his colleagues – with a box of Kleenex in tow. Boehner reflected on his childhood growing up on a farm and how he learned the value of hard work. He took his first job at 9 years old as a paperboy, working for just $2 a day. Come next week, it will be the first time since then he can remember being unemployed. “We’ve made this institution more open to the people,” he added. Boehner reflected on what he believes to be his greatest accomplishment as speaker: Helping more kids get an education. Earlier this week, Boehner was asked what he considered to be his finest day in office. He said the day he and his colleagues enacted important programs that expand educational opportunity. The outgoing speaker thanked his colleagues on the aisle, as well as Nancy Pelosi and Steny Hoyer for the work they did together. A Boehner speech wouldn’t be complete without the Ohio representative cracking a few jokes. At one point, he poked some fun at colleagues and journalists who need to “dress better.” He especially targeted those folks who don’t wear ties. 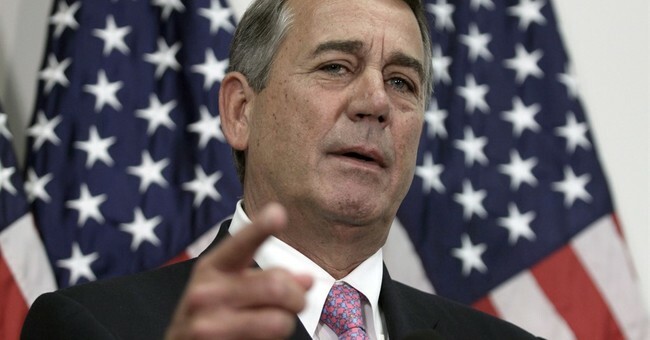 Boehner got serious again when he thanked his constituents for their efforts on his behalf. He had one particular young man in mind: Paul Ryan. Ryan put up lawn signs for Boehner’s first congressional campaign in 1990. “Paul is being called to do something,” he said. “I know he’ll serve with grace and with energy. As he walked up to the dais for the last time, his colleagues gave him a standing ovation. Boehner had to mention that there have been more than a few tears in his career. Rep. Cathy McMorris Rodgers then put forward Ryan’s name as the House got ready to vote, again noting that he did not want this powerful position. Rather, he was called to lead. Ryan said he feels “the weight of responsibility,” yet shared a real hope for change. He said that, under his leadership, the House will not rush to pass bills. He wants the committees to take the lead on legislation. The admiration Congress felt for Ryan was evident in the smiles on both sides of the aisle. This is largely thanks to his sense of optimism and calls for unity.